COP21, PARIS – The Urban Climate Change Research Network (UCCRN) released the Summary for City Leaders of the upcoming Second UCCRN Assessment Report on Climate Change and Cities (ARC3.2) at the COP21 Climate Summit for Local Leaders. UCCRN is dedicated to providing the information that city leaders–from government, the private sector, non-governmental organizations, and the community—need in order to assess current and future risks, make choices that enhance resilience to climate change and climate extremes, and take actions to reduce greenhouse gas emissions. Disaster risk reduction and climate change adaptation are the cornerstones of resilient cities. Actions that reduce greenhouse gas emissions while increasing resilience are a win-win. Risk assessments and climate action plans co-generated with the full range of stakeholders and scientists are most effective. Needs of the most disadvantaged and vulnerable citizens should be addressed in climate change planning and action. Advancing city creditworthiness, developing robust city institutions, and participating in city networks enable climate action. These pathways provide a foundational framework for the successful development and implementation of climate change. UCCRN advises cities to immediately act on climate, as nearly two-thirds of world’s population will live in cities by 2050. 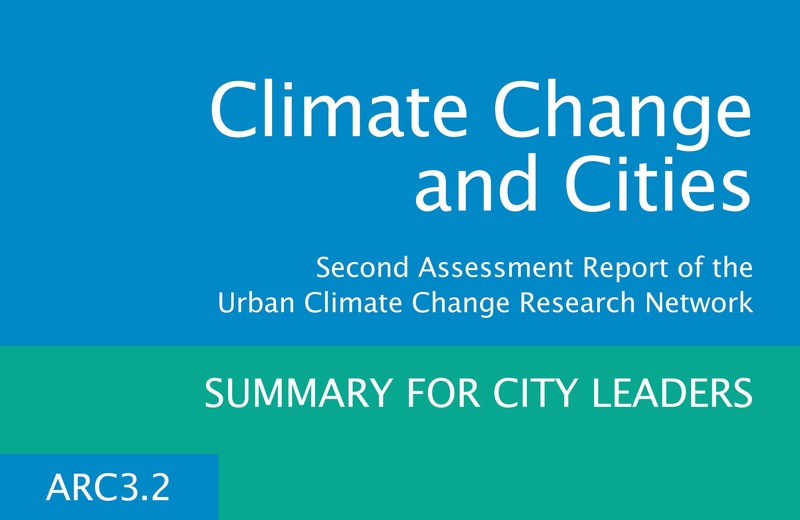 The Report supplies statements on general trends and conditions derived from the most recent research on urban climate change as well as city-specific details from 100 case studies developed in conjunction with the Assessment. “The ARC3.2 Case Study Docking Station provides readers with an opportunity to query information and data about climate change actions that they deem relevant to their own city interests and needs,” according Dr. William Solecki,at Hunter College at the City University of New York and another Co-Editor of the report. The ARC3.2 authors are scholars from a variety of universities and institutions in cities around the world. The Co-Editors of the ARC3.2 report are Cynthia Rosenzweig, William Solecki of Hunter College of the City University of New York, Paty Romero-Lankao of the National Center for Atmospheric Research, Shagun Mehrotra of Milano at the New School, and Shobhakar Dhakal of the Asian Institute of Technology. UCCRN is a global consortium of individuals and institutions dedicated to the analysis of climate change mitigation and adaptation from an urban perspective. Based out of Columbia University’s Earth Institute, the Network aims to institutionalize a sustained state-of-the-knowledge assessment process of climate change science tailored for urban needs, drawing on the experience of cities across the world as they act to adapt to and mitigate the impacts of climate change. For more information on the Urban Climate Change Research Network (UCCRN) and the UCCRN Assessment Reports on Climate Change and Cities, visit www.uccrn.org.